Local Pet Services for Dogs and Puppies are thriving. We are seeing a number of young entrepreneurs setting up their own businesses, Dog groomers, Dog Walkers & house sitters. We love the pubs who are organizing dog events and coffee mornings or socializing puppy drop ins are on the rise. The Visit Dorset Website is well worth a look as it is clear and informative. Because we are all leading busy lives there is a growing need to spend quality time with for our beloved canines, Doggie drop ins and walking services focus on your pet and give them the benefit of spending time with their own canine kind. If it is training you are looking for then The Kennel Club has the people you need to contact, just search your area. Mobile Dog Groomers bring a much needed service to your home, especially important for the elderly and those who are unable to drive. 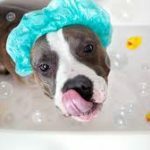 Pets are critical companions for many people but they also have needs to be taken care of – toe clipping, haircuts, bathing etc. MuckyPups is based in Poole and set up by Alice. Her business, webpage etc is based on friendly “Welcome to the Mucky Pups family! My name is Alice (Bsc Hons Animal Management) and I provide top class care for your precious pups. 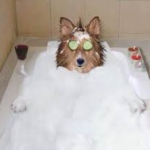 CITY GUILDS LEVEL 3, From dog walking to dog grooming an d pet spa.” What’s not to like, especially the pet spa, we can all do with a little rest and relaxation! Emma’s Ark @emmas.ark2017 is brand new and receiving rave reviews. If you have any animals that need looking after she’s your girl. Small holding, pets, ducks, all sorts. A wealth of experience and a fab personality makes this local girl a winner. Check out Emma’s Face book page.